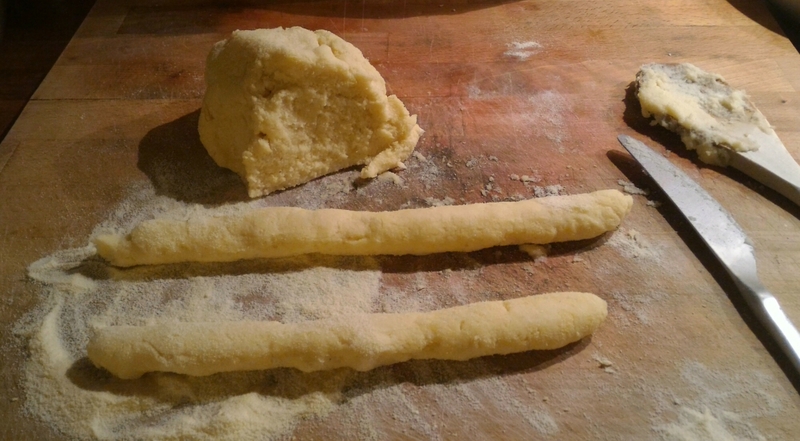 Although it’s hand-made pasta, it is easier than it seems, all it takes is some time and love. 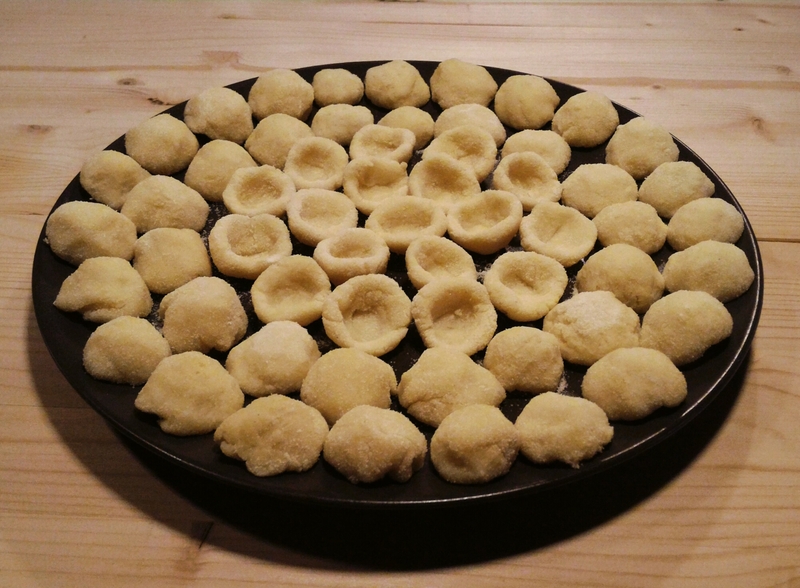 Cut the rolls in small pieces (less than an inch big) and, with the help of a knife, shape them into “orecchiette” using your thumb. This is the longest part and, while you do it, you can cover the ball under a bowl so it doesn’t get dry. Meanwhile, make some salty boiling water to cook the cauliflower for 10-15 minutes (remember to put the lid on the pot, so it won’t stink). Then add orecchiette and let everything cook for 15 minutes more. 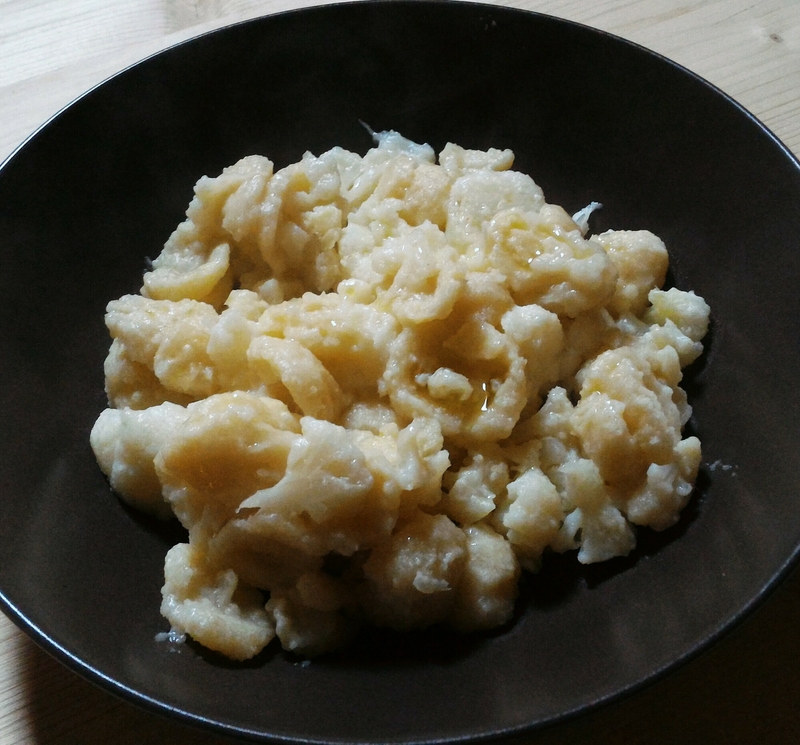 Put some oil and a clove of garlic in a pan, drain the pasta with the cauliflower and put everything in the pan. Stir for 5 minutes, salt and pepper to taste, and it’s ready.